It can be very confusing about whether or not to stay or leave a relationship. I remember being so surprised in 1981 when a man admitted to me he’d been sleeping on the couch for 25 years. I could easily imagine how unhappy his spine was. It was not the reason he sought counseling. Men don’t leave relationships nearly as often as women….it’s a 1 to 3 ratio. Men will maintain the status quo, whether they are sleeping on the couch, having an affair or solve their distress by being a workaholic. Women are often hungry for more. Women want more intimacy and men are often unsure what that even means. Women struggle more with expectations in relationships. Women often have unfinished business that leads to resentments being stockpiled. How do you decide whether or not to leave? How do you put your children at risk by turning their world upside down? How long can you live with depression that evolves from a bad relationship? If you’re a hetersexual woman over 40 then you know the odds are against you hitting it big in the dating lottery……. It’s very messy to leave & it’s huge on the stress scale. It’s one of the hardest things that can happen. How do you decide if it’s worth it? 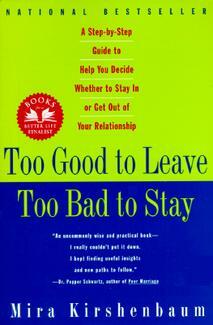 Mira Kirshenbaum has written a really helpful book for these circumstances called: Too Good to Leave Too Bad to Stay. 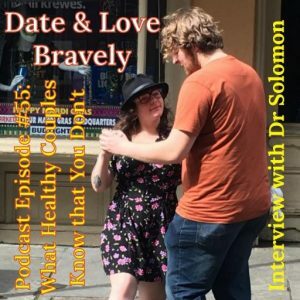 She breaks things down into 36 Steps, 36 Diagnostic Questions & 36 Guidelines. She’s set up a very thoughtful process. It is my opinion that relationships are doomed when there is a lack of respect. Respect is a more important quality than love. Respect allows room for things you don’t like in the other person. Love often demands sameness. 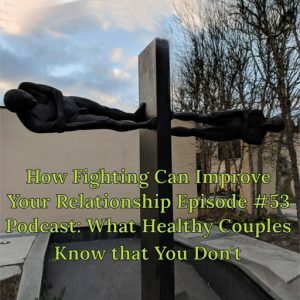 The second most important quality for any relationship is the ability of both people to talk about hard things with each other, instead of avoiding & deflecting. Doing couples counseling I often feel like Dorothy in the Wizard of Oz squeezing oil on the Tin Man’s jaw to help him speak. Relationships require a lot of work so that individuals will turn towards each other instead of the easier turning away. An enormous amount of talking is necessary to soften the differences. 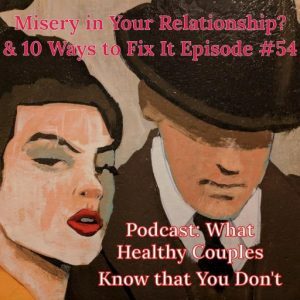 Instead of figuring out honest dialogue, too often partners scream or are silent. Feed the Truth Instead of the Distance to Find Out if Distance is What You Really Want.